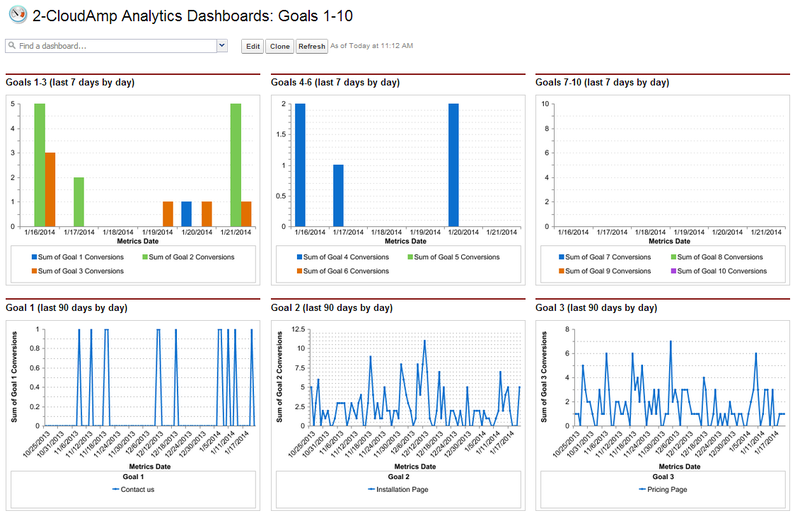 Get top level metrics and UTM Campaigns from Google Analytics in your Salesforce dashboards. 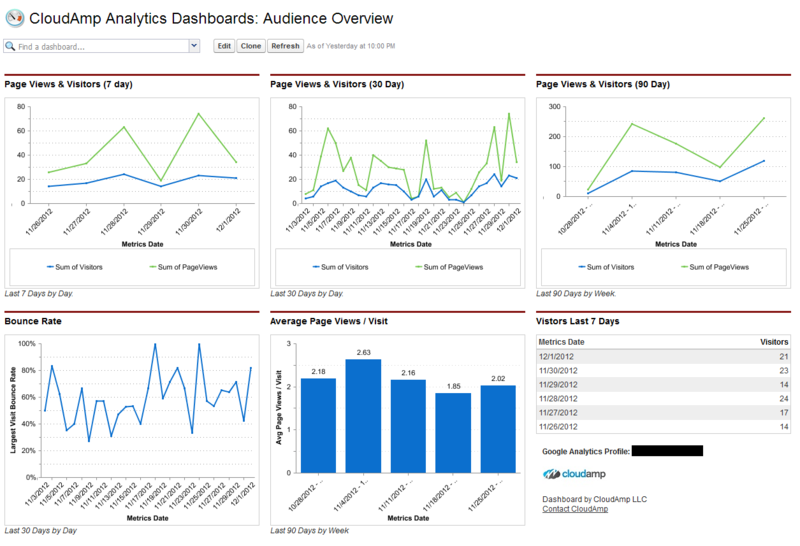 High level Google Analytics metrics are imported automatically into Salesforce, and displayed in a series of dashboards. See trends faster, have a nice web site traffic dashboard to email the boss, and more. 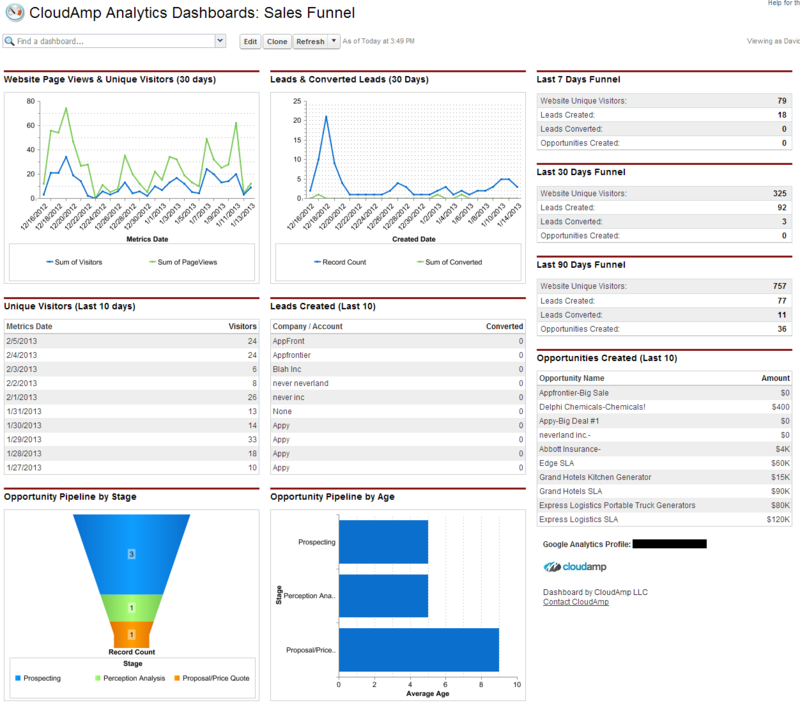 Click on any of the screenshots below to see enlarged sample images of the dashboards included with the CloudAmp Analytics Dashboards app. 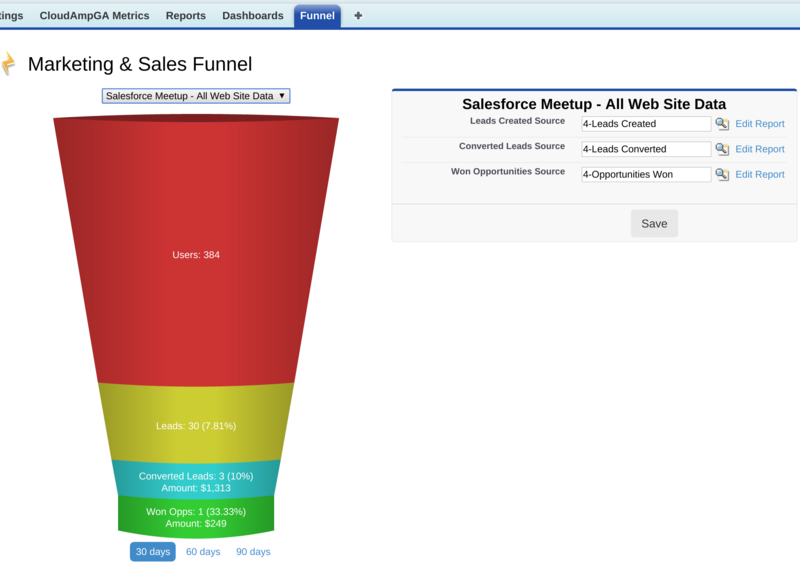 This custom tab shows you your Users (web site visitors) from Google Analytics with your Leads, Converted Leads, and Won Opportunities in a large funnel chart. You can easily toggle between 30 / 60 / 90 day views, as well as select the source reports that drive the lead and opportunity views, or add filters to your reports to match web site views. 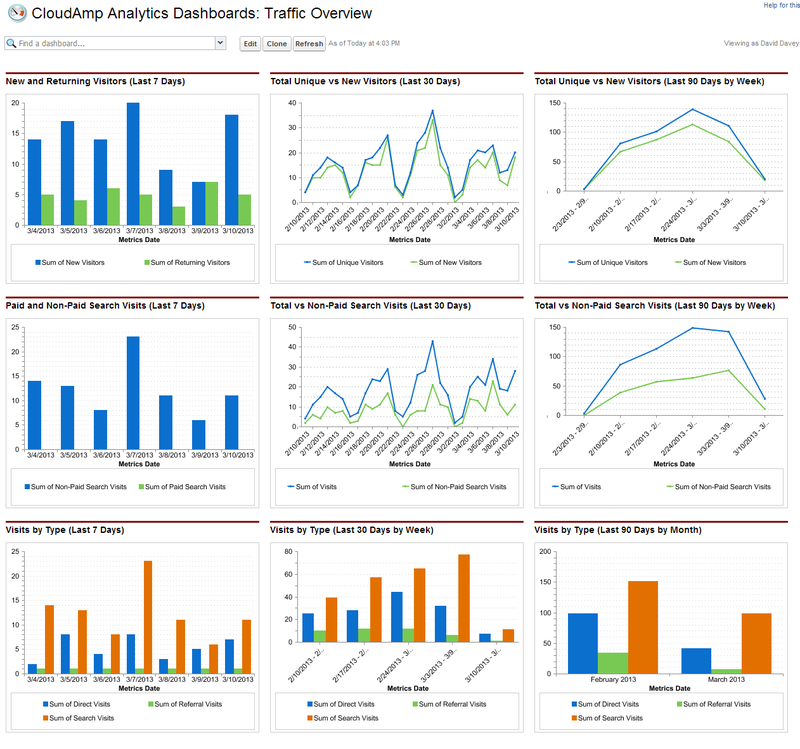 CloudAmp Analytics Dashboards includes the following reports, filtered for each of the 5 Google Analytics profiles. Because all data is stored 100% natively in Salesforce, you can modify or Save as and customize any of these reports to fit your own unique data requirements very easily. CloudAmp can also provide reporting assistance if you need it.